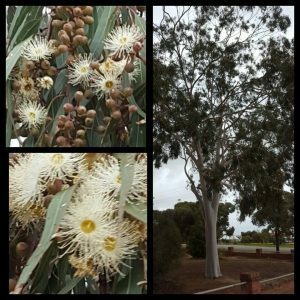 Mallee, mostly about 3.5m high, but sometimes up to 6m high. 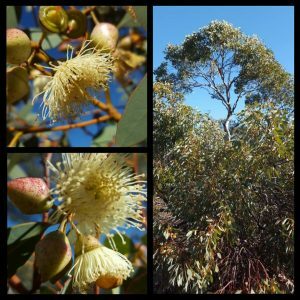 Creamy flowers in December to March. 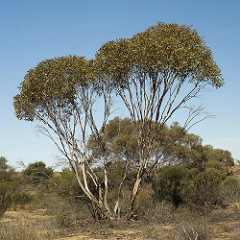 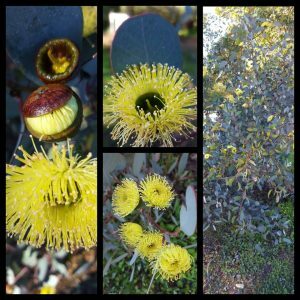 Has a spreading form with smooth, grey-brown bark, grey-green leaves. 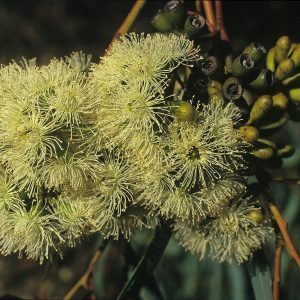 It is resistant to frost and drought, and should be highly suitable for use in planting for windbreaks in inland sandy soils.